5mm Faceted Rainbow Moonstone set in Sterling Silver. 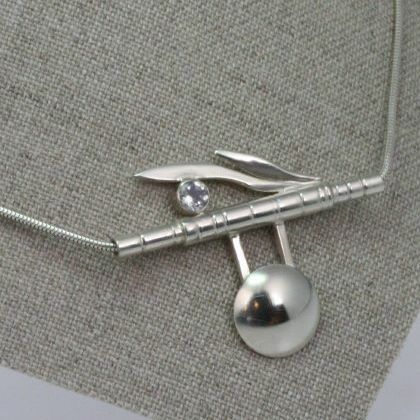 Simply elegant, unique sterling moonstone pendant designed as a part of our Bamboo Garden Collection by Holton Stewart Designs. Also Available in 14K Yellow Gold Call 252-475-1413 for Metal Options.